It’s time for ‘Japan by Prefecture‘ again! This is the series that aims to provide the highlights of each prefecture of Japan, along with my personal favourites and suggestions from readers. This week, we’re looking at Saitama Prefecture (埼玉県). 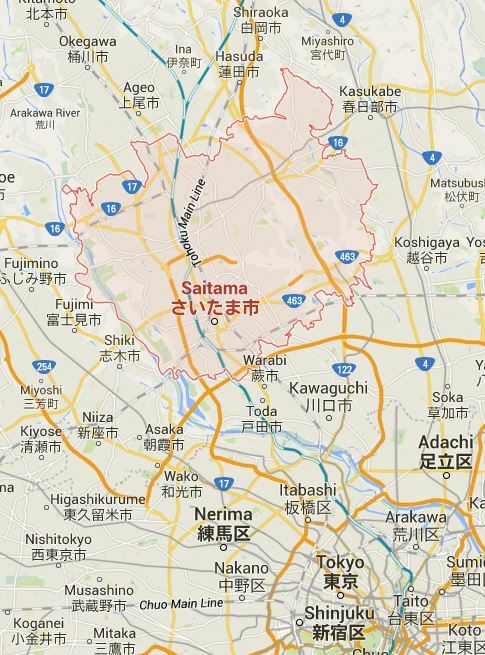 Saitama Prefecture is part of the Kanto region (関東地方), just north of Tokyo. The capital is also called Saitama (さいたま市). Saitama Prefecture is part of the Greater Tokyo Area, and most of Saitama’s cities can be described as suburbs of Tokyo. For that reason, it’s quite common for people to commute from Saitama into Tokyo for work. As suggested by Japan Australia in last week’s comments, Kawagoe (川越) is one of Saitama’s main attractions. Kawagoe is an old town with an Edo Period (1603 – 1867) atmosphere, and at only 30 minutes away by train it makes a perfect day trip from Tokyo. The old streets of Kawagoe are lined with Kurazukuri (蔵造り) (clay-walled warehouse buildings), which are now home to shops and restaurants. 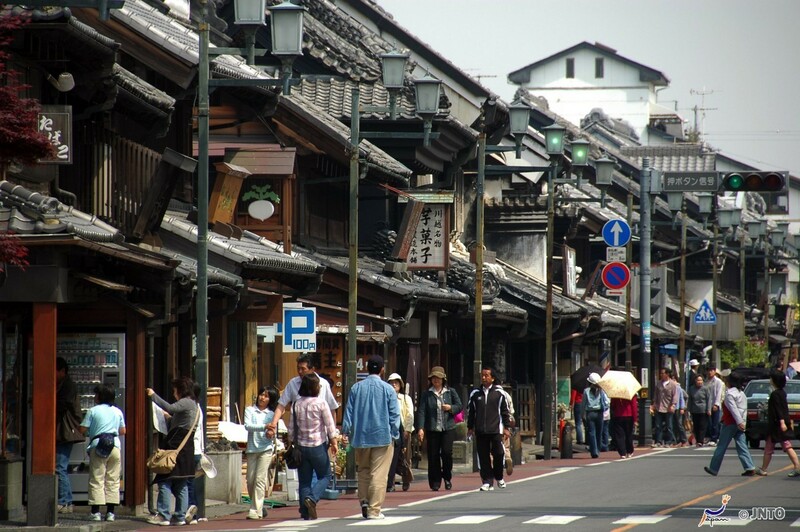 Kawagoe is known as ‘Little Edo’ (Edo is the old name for Tokyo), and back in the Edo Period the town was a supplier of commodities to Tokyo. Sights in Kawagoe include the Bell Tower (時の鐘 / Toki no Kane), Museum of Kurazukuri, and Candy Alley (菓子屋横丁 / Kashiya Yokocho). Candy Alley is a little shopping street selling traditional sweets and cakes, including such traditional sweets as karinto (sugar coated, deep fried cookies which are really good!) and sweets flavoured with sweet potato. There are various temples and shrines of note in Saitama Prefecture, and of those the most important and popular shrine is Musashi Ichinomiya Hikawa Shrine (武蔵一宮氷川神社). 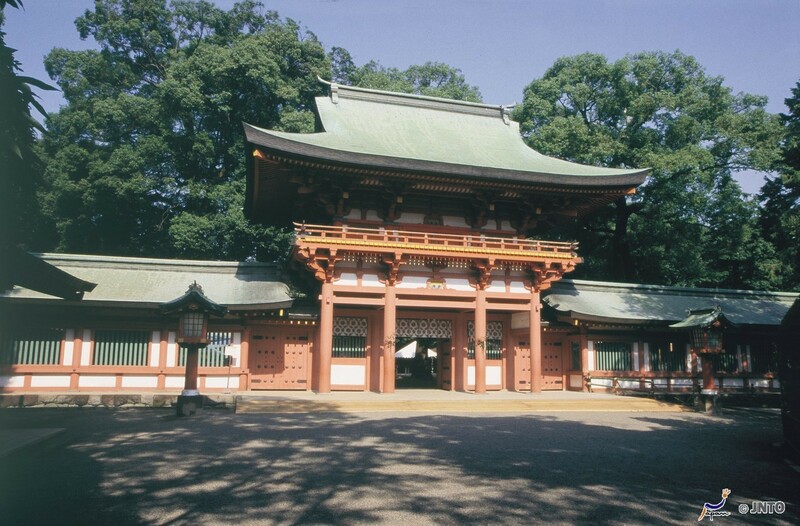 Hikawa Shrine is in Omiya (大宮) in Saitama City. Omiya literally means ‘Great Shrine’, and ‘Musashi Ichinomiya’ means ‘top shrine of Musashi. Hikawa Shrine used to be the head shrine of the former Musashi Province which covered present day Greater Tokyo, including large parts of Saitama. Chichibu (秩父市), suggested in last week’s comments by Paul, is another attraction of Saitama Prefecture. Part of the Chichibu-Tama-Kai National Park (秩父多摩甲斐国立公園), this mountainous area is good for hiking, cycling and other outdoor activities, and makes a great rural escape from Tokyo. 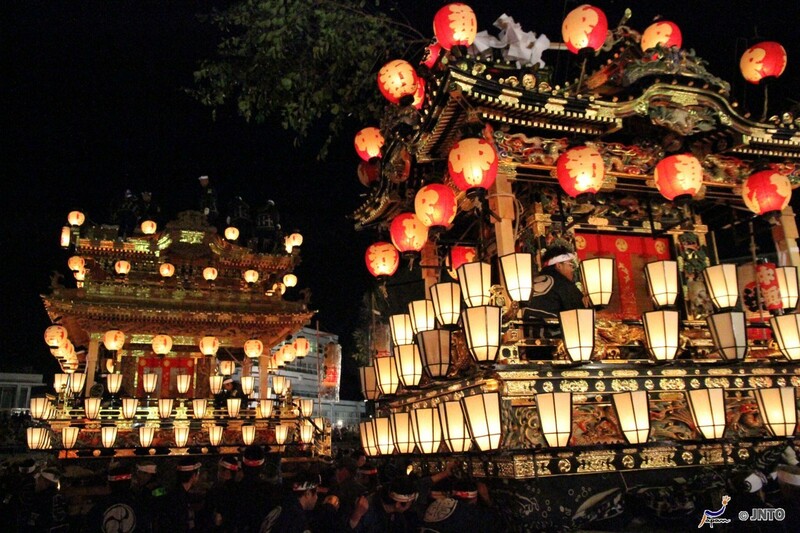 A good time to visit Chichibu is at the beginning of December, for the Chichibu Night Festival (秩父夜祭). The festival features ornately decorated floats covered in lanterns, tapestries and wood carvings, and there is also a fireworks display which lasts almost two and a half hours! 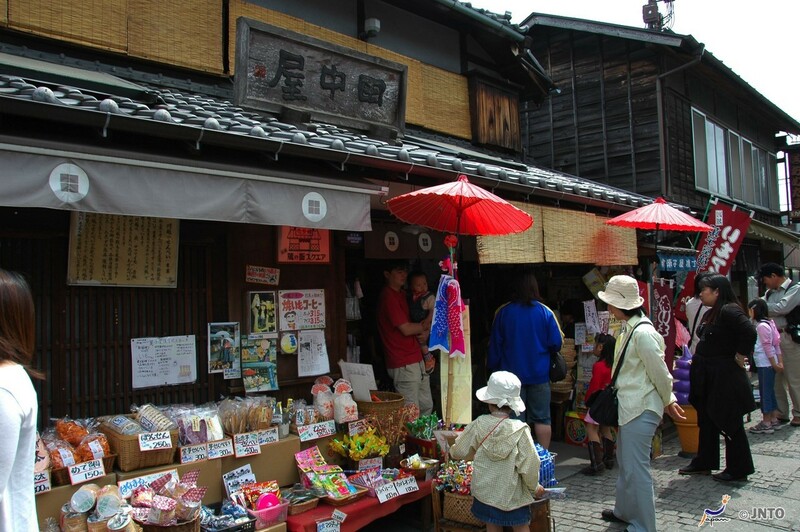 As I mentioned above, Saitama Prefecture is home to Kawagoe’s Candy Alley, and this is the best place to look for souvenirs (or ‘omiyage’ / おみやげ). 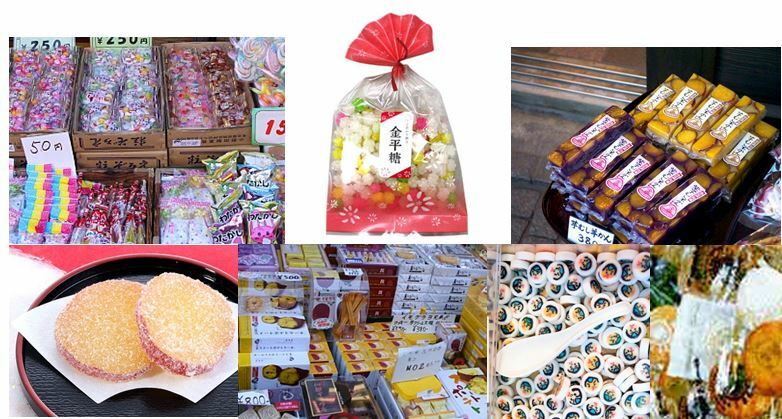 The most famous souvenirs are traditional sweets, rice crackers and food made with sweet potato. Sweet potato goods include grilled sweet potato, ice cream and cake. Next week I will be writing about Chiba (千葉県). Have you been there? What’s good to eat there and what omiyage should I buy? What are the best sightseeing spots or hidden gems? Please do share your thoughts below, and join me next week for Japan by Prefecture! How about Mt. Nokogiri for your next post? You didn’t mention Saitama’s Tobu Zoo. Naritasan Shinshoji Temple in Narita is one of the most famous temples in the Kanto region. Sawara is a beautiful town often called “Little Edo” for its Edo style buildings. There are a couple of interesting Daibutsu in Chiba: a modern one at Futtsu and an older one at Nihon-ji. And, of course, Tokyo Disneyland is in Chiba, just.